I’ve been a loyal iPhone customer since the first one came out in 2007. That is to say I have spent what amounts to thousands of dollars when you consider the cost of the phone and various paraphernalia, too – the chargers, a Bose stereo, protective cases, apps, songs, ringtones, etc. Since purchasing the iPhone 5, I can only say I’ve never been more disappointed in the Apple company, product or customer service than I am now. My last phone was the 4; I skipped the 4S generation because Siri wasn’t — and still isn’t — worth paying hundreds of dollars. While I admit Siri is a novelty and fun party trick, I can look up a weather forecast or google something perfectly fine by myself. 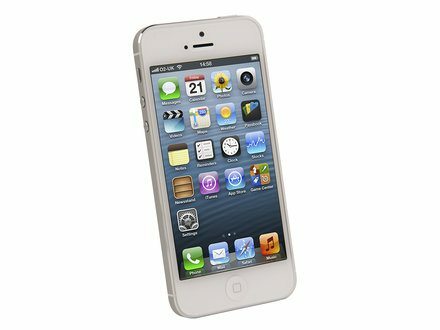 In my opinion, the 4S was a complete money grab by Apple, and the start of their eventual decline. For whatever reason, I have still remained loyal to the product in general and, even when other phones advanced to a larger screen size and a 4G network, I held out for the release of the iPhone 5. After spending $462-something with a two-year contract agreement, I fully expected the brand new, glistening white, 64-gigabyte iPhone 5 I received in the mail from AT&T to be perfect. I certainly didn’t expect it to rattle like a cheap toy. I tried to ignore the noise at first, though every time my phone vibrated there was an additional tinny rattle that followed. I could hear it subtly during daily activities or plain as day if I intentionally shook the phone. I asked other iPhone 5 owners if they had the same issue; the answer was undoubtedly no. But I wasn’t crazy. When you google “iPhone 5 vibration,” the search engine automatically provides the word “rattle” as an option. That’s how common the problem is. I soon came to find out that in addition to the vibration rattle, people have complained of a camera lens rattle and a battery rattle – or thud to be more accurate. The battery issue is an easy fix, according to the forums; the other resolutions seem to depend heavily on which sales person you happen to get and whether or not they were in a good mood. I didn’t believe the forums because Apple has consistently in the past done right by their consumers. No problem, I thought, I’ll just take it to the Apple store in Fashion Valley and they’ll help me out, right? Wrong. I showed up and was told that I had to set an appointment up at the Genius Bar before I could be seen. The next one was in an hour and a half, so I had some time to kill. On a side note, the True Foods restaurant at Fashion Valley is worth a stop. I arrived back at the Apple store and checked in at the Genius Bar where I proceeded to wait for about 10 minutes, maybe more, despite my scheduled appointment. I was eventually greeted by an employee whose name I don’t remember. He had slicked-back hair to match his personality and I explained my situation to him. Do you know that moment when you’re talking to someone and you can physically see them tune you out? All of the sudden I got the autopilot head-nods and uh-huhs. To be fair, he humored me by taking my phone in the back to listen to the sound, and opened it up to see if there were any loose parts. Nice one, Apple. After record sales to the point that retailers everywhere were sold out of the iPhone 5 the day after it was released, Apple wasn’t about to admit to any mistakes. Instead, the geniuses far above those at the Genius Bar came up with the catchy little phrase “within spec,” thereby dissolving them of any responsibility whatsoever. Well played, I have to admit it. On my way out of the store I was told by another employee that because I got my phone through AT&T, I could only swap out the phone through the factory warranty using the Genius Bar inventory not the actual Apple store inventory (apparently these are separate). It was suggested that I call each day to see if the random shipment they received had my particular phone in it. I left the store fuming, and didn’t call Apple for a couple of days. I figured I could just get used to the rattle sound — after all it was within spec. That only lasted so long before I couldn’t stand it any more. On Thursday, I called and was told that a matching phone had not come in with that day’s shipment. Thinking about future shipments, I asked if they would be able to hold the phone for a short time, allowing me time to drive over and pick it up. “I’m sorry, but we’re not allowed to hold any items for anyone,” the rep said. “So, if I call and you have it and I start driving over, you could potentially sell it before I get there?” I asked. “We’re just not allowed to hold any items,” she repeated. I hung up and took a few deep breaths. I remember when an Apple representative waived my restocking fee when I switched out iPads to get the more expensive 3G option. It’s things like these that are reasonable and expected when you’re dealing with products that cost large sums of money. Now, Apple has adopted the “we’re big, we’re fabulous and we know it” attitude. The fact of the matter is the iPhone 5 is not without its flaws — something you simply don’t expect from the company that invented the smartphone. It’s something I don’t think Steve Jobs would allow were he still alive. I called the store back, and requested to speak to a manager. A girl named Susie got on the phone and I explained my situation, ending with the fact that I could not be more disappointed in the Apple service — disservice, rather — that I had received up to this point. I had just gotten to the point where I mentioned I was trying to find out from the Genius Bar whether or not they had my iPhone in stock for a swap, when she stopped me. “Well, since you bought it through AT&T you can’t get a phone through the Genius Bar. Your only option is to receive a refurbished phone which may or may not have the same rattle since it is within spec,” Susie said. I won’t even get into my response, other than the fact that it was shrill. At the end of the conversation, Susie said that she would approve a warranty swap because it would make me feel better, but that I would only get this opportunity once. She said she would send her notes to the Genius Bar so that they would be prepared for me when I came in the next day, after, of course, making yet another appointment. 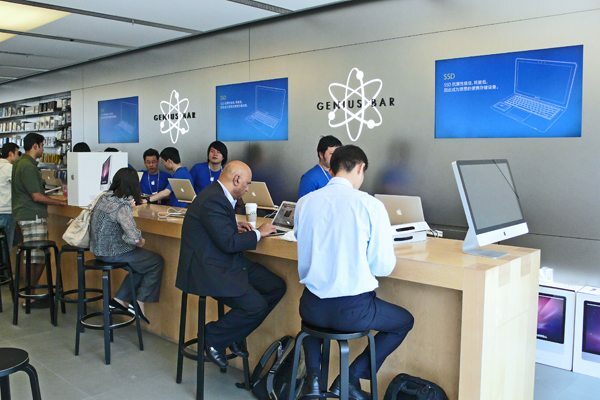 On Friday, I arrived at the Genius Bar, signed in and waited. An employee named Chris was assigned to me and I again explained my situation. He again nodded politely, took the phone in the back and retuned with the good news that the sound I was hearing was within spec. As such, he said, I would not be eligible for a warranty swap. I mentioned that I had spoken with Susie the manager and that everything had already been approved. “We don’t have a manager named Susie,” he said. “Well, someone is answering your phone and identifying herself as such,” I snapped. Twilight Zone music started playing at that point. “I’ve been working here for years, and we’ve never had a manager or anyone here named Susie,” he said. I have to give Chris credit for going and asking others around the store if they knew anything about what I was saying. I suppose he didn’t have to, and what could I have done about it? He returned moments later and said that they had indeed had a fill-in manager the day before named Susie, and that he didn’t know because he’d had the day off. He told me they would honor the warranty swap and brought out a refurbished phone, which he said happened to be new because the iPhone 5 had only been on the market a couple of months. He even took me in the back where it was quiet so that I could shake the new phone to see if it rattled. Chris apologized for being so abrasive up front, admitting that my complaint is something he hears often. He explained that because the iPhone 5 was redesigned to be thinner it required all new parts and a reconfiguration. As a result, comparing it to the sturdy quality of previous generation iPhones simply doesn’t work. If it is such a common complaint, how on earth did the phone make it to market in the first place? The engineers and designers must have heard the rattle, too. Maybe they sacrificed deadline for quality. If Apple continues down this path, they will soon find themselves no longer at the forefront of technology. As for my new phone, it still rattles. It didn’t at first, but the sound has steadily grown. It appears to be a common defec–, er, completely normal sound. Apple may have gotten my money this time around, but I am now open to other options when it comes time for the next phone. My advice to Apple is simple: perhaps they should focus less on winning the battle with slimy terms and difficult store policies, and more on winning the war. After all, a happy customer is a loyal customer. Seems to me being the tech that I am. I would’ve tried to fix the rattle by finding some insulation to stop it (the rattle). Most of the employees at Apple, Fashion Valley are like cats. Consequently, Apple techs are like contented cats eating at a long row of cat food bowls until they’re nudged by a manager (the fat cat) who tells how to cover up the situation. So I’d say the big cats (Apple’s CEOs) don’t deserver any cat nip for the holidays for not rectifying the rattle situation. Usually these rattling situations are reflux to the engineers subconscious repression to go back to playing with baby rattlers.